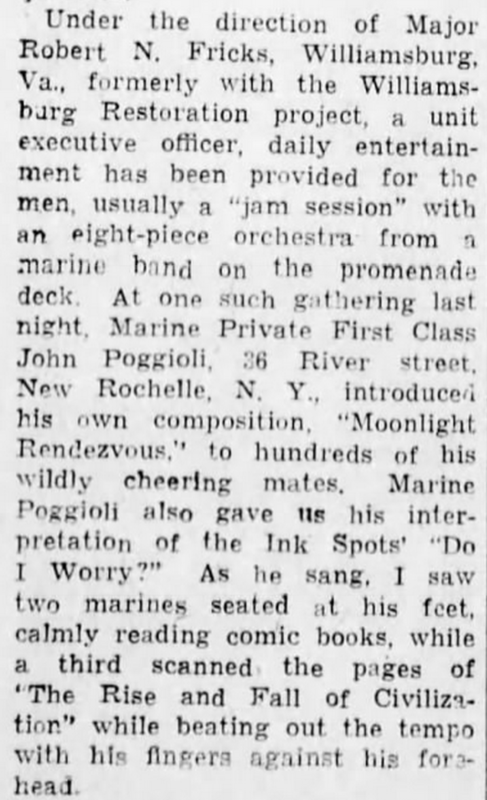 An excerpt from Jim G. Lucas’ article “Experiences Aboard a Convoy Ship” tells of PFC Poggioli entertaining his buddies en route to Saipan. By the time this article was published, Poggioli had been badly wounded and was out of the fight. 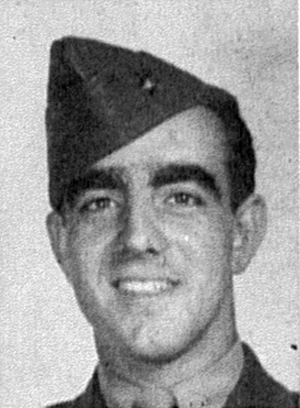 Altoona Mirror, 26 June 1944.